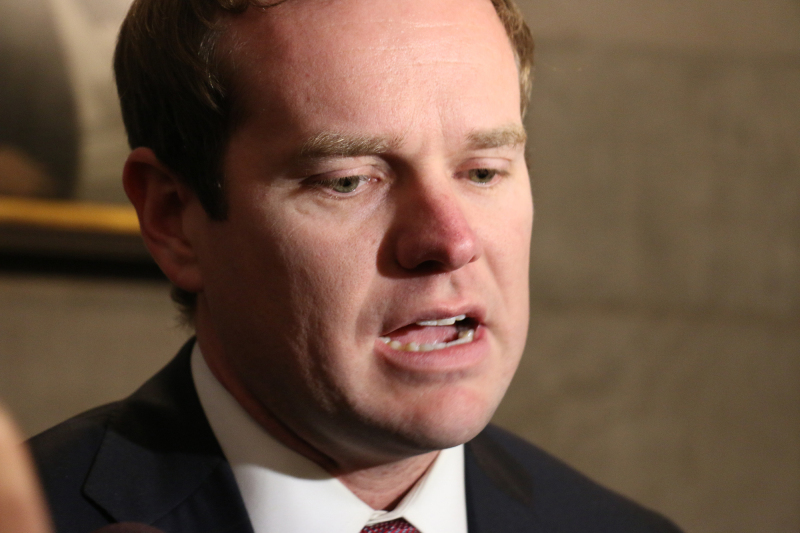 A political survey group says Rep. Jeremy Durham is now considered “vulnerable,” with the opportunity there for contender Sam Whitson to become the Republican candidate. A political survey group based out of Texas says incumbent Rep. Jeremy Durham is now considered “vulnerable,” with the opportunity there for contender Sam Whitson to become the House District 65 Republican candidate. The company Baselice and Associates, Inc. conducted a telephone survey between May 31-June 5. The survey said it randomly selected voters in District 65 with a margin of error at 6.5 percent. The survey asked callers about all three candidates – Durham, Whitson and Stacey Givens, who has said she will not actively campaign for the primary election. Baselice’s survey also revealed that when voters had a chance to learn more about the candidates’ records, Whitson, at 58 percent, was the preferred candidate over Durham’s 16 percent by three-to-one. Givens remained at 6 percent still, with around 20 percent undecided. When asked if Durham had done his job as state representative well enough to deserve re-election, only 31 percent indicated he had. In contrast, 40 percent said they thought it was time to give someone else a chance to do better. Baselice and Associates is based out of Austin, Texas, and was founded in 1997. Representatives from the firm said they routinely do these type of surveys for Republican races during election season. A transcript of the survey wasn’t immediately available to determine what and how the questions were asked to those who participated. When the Home Page asked Baselice’s who asked for the survey, the group said it was confidential and couldn’t reveal who payed for it. Whitson said he had never heard of the group nor did he sanction the survey. “I had nothing to do with it,” Whitson said.